Every day we are bombarded with messages telling us how to save money. Zero percent down, half off and two for one are commonplace announcements blasted at us through television, radio, and billboards. As relentless as these commercials are the reality is that very few of these solicitations will actually save us money. Quite the contrary, they are designed as a call to action to grab your credit card and spend, spend, spend! 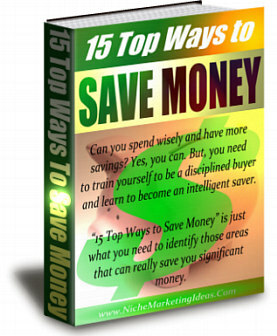 Can you spend wisely and have more savings? Yes, you can. But, you need to train yourself to be a disciplined buyer and learn to become an intelligent saver.